As longtime readers of “Recovering Shopaholic” may recall, I used to publish a list of useful links on a specific topic every Friday (you can see the resources archive here). I stopped doing that last year, but still periodically include article links at the end of some of my posts. I’ll probably still do that on occasion, but I’ve decided to consolidate most of my helpful links into a monthly post. Included below is the June 2014 edition. The list includes some articles written by or about me, as well as a number of excellent posts from other bloggers. I hope you enjoy this assortment of links. Please feel free to share links to other articles you’ve enjoyed in the comments section. 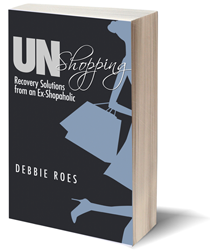 I’ve been fortunate to have had several other bloggers review my new book, “UnShopping: Recovery Solutions from an Ex-Shopaholic,” since it was released last month. In addition, I was recently interviewed about the book on one of my favorite blogs. Imogen Lamport of “Inside Out Style” reviewed my book in her “Weekend Reading” series last week. Jill Chivers interviewed me about my book, my blog, and my future plans on her “My Year Without Clothes Shopping” blog. I share my experience with the dress-with-less challenge, Project 333, including why I started, what I’ve learned, and what I’ve worn, in this week’s Project 333 Style Story. I wrote about my recovery from compulsive shopping for the June edition of Complete Wellbeing Magazine. This is a print magazine and the article is not yet available online, but you can view a PDF version here. There are many “red flags” that can signal the difference between smart buying and shopping addiction. This article from U.S. News presents six danger signs of emotional spending. This is a good list to bookmark and consult periodically as a reality check. All six of these signs applied to me at one time and I still have to watch out for signs 4 and 6 in particular, but it feels good to realize my emotions aren’t completely running the show anymore. Some of the comments to my last post on buying once brought up the concept of perfectionism when it comes to shopping. Kali of “The Nife En L’Air” has a lot to say about perfection and how the quest for the best can drive us to buy more. She offers an alternative that can help all of us who struggle with the search for perfection. I highly recommend sticking around after the post to read the comments, as well as Kali’s responses. Lots to learn there! Many of us avoid ordering clothing online because we feel that dealing with potential returns can be more of a hassle than shopping in the stores. Janice of “The Vivienne Files” disputes this common view and offers lots of tips for making mail order work for you. I especially love tips 7 through 9! But before you order anything else online, be sure to check out Jill Chivers’ tips for avoiding senseless online shopping. As an ex-shopaholic herself (check out her wonderful programs for overshoppers here), Jill provides a unique perspective on how to navigate what can be an all-too-easy to overbuy situation. At the end of the post, there are links to two other articles on e-commerce shopping that you might want to read as well. I’m sure many of you have heard of the concept of the ten-item wardrobe, popularized by Jennifer of “The Daily Connoiseur.” Well, Cristina of “Unshopping and Unraveling” recently decided to pursue that ideal and has made a few important realizations that I feel will resonate with many of you. 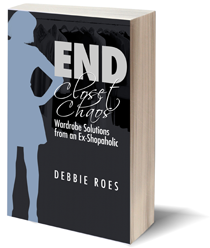 I invite you to read her posts, “Hidden Danger of a 10-Piece Wardrobe” and “Little Victories,” for some powerful insights. There’s been a lot of discussion on color in the comments sections of many of my recent posts. In addition to the importance of selecting a color palette, we also need to know how to pair colors together in our outfits. This excellent color theory primer on “Into Mind” explores topics such as the color wheel and color harmony, and also links to some useful resources related to color. Did you know that there’s a “sweet spot” for the hems of your sleeves, pants, tops, and jackets? In “X Marks the Spot,” Imogen Lamport visually depicts how hems can make us look shorter or taller, as well as slimmer or wider. She also links to additional resources for those who want to learn more about these figure flattery concepts. Sally from “Already Pretty” looks at how proportion matters when it comes to untucked tops worn with skirts and pants. She illustrates the concept with some compelling visuals and also delves into how pant rises have changed over the decades. Do you struggle with what to wear on the weekend that’s casual and comfortable yet still chic? Bridgette Raes offers some simple tips for how to use accessories to customize your weekend looks for various occasions. Many of us are looking for ways to cultivate simpler and more meaningful lives. Sarah of “Goedeker’s Home Life” lists 101 steps we can all take to further this pursuit. Tips are provided related to our homes, technology, health & wellness, finance, holidays, and lifestyle. There’s something for everyone! Have you noticed that many people answer, “Busy,” when you ask them how they are? This article from the Harvard Business Review looks at the current trend to do more, more, more, and the group of people called “essentialists” who are moving in a different direction. We hear a lot about work/life balance, but we don’t usually read much about the value of play in our lives. Sandra of “Always Well Within” shares the play prescription she recently received and provides some questions we can ask ourselves to assess our ideal work to play ratios. If you like this post and want to delve deeper, I highly recommend Sandra’s e-course, “Living with Ease.” I was in her pilot group for the course and it was fabulous then, but I know she’s added even more value since that time. Yes, I know that was a lot of links (there probably won’t be so many next time! ), but you have a month to enjoy them until my next useful links post rolls around… Plus, you can pick and choose the ones you’d like to read and leave the rest. I don’t know about you, but I often suffer from “fear of missing out” (FOMO) in many areas of life, including shopping and reading. I have to remind myself that there will always be great clothes to buy and interesting articles to read. I don’t have to buy them all or read them all today! This is true for all of us, and my useful links posts is no exception! Before I go, I just want to thank all of those who have purchased my book. I hope you enjoyed it, and I’d love to get your feedback. I’d also really appreciate your posting a short review on Amazon (thanks to those who have already done so!). The reviews can help others decide whether or not a book is right for them, so if you have a few moments to share your thoughts, it will make a difference. I’ll be back next week with my latest closet inventory, as well as some thoughts on “closet set point,” a topic I’ve briefly touched upon in previous posts. Since I believe this phenomenon impacts many of us on an ongoing basis, I plan to probe a bit deeper. Thanks for reading and enjoy your weekend! ← A Simple Shopping Rule – Buy Once! Congrats on the book! One thing that I struggle with is that while I feel I’ve gotten control of compulsive shopping to a great degree, (meaning not giving in to that overwhelming urge to shop at a given moment) I still spend, I still add to the wardrobe on a monthly basis! So how is this any different from what I did before? I don’t understand myself! I have reduced the incoming, and try to follow the one in ,one out rule but still I have a TON of clothes. I don’t budget a monthly amount like you Debbie . If I did budget the common rule seems to be from 3 to 6 percent of net income for clothing. So if I budget $250 per month and spend that down each month how am I overcoming my shopping habit? Even if I only bought $500 every two months I’d still be adding more clothes, shoes and bags. I guess I’d be patting myself on the back that I didn’t SHOP. It feels like a neverending cycle. Yes I’m more mindful, yes my clothes are exactly what I want and feel good in but when am I ever going to get to the point where I’m not constantly hunting /purchasing new clothes?? I’m waaay past the point of needing anything really. So why do I keep doing it???? I don’t get it!!!! Thanks for your comment, Karen. I can identify with a lot of what you wrote. I think that taking steps like setting a budget or an item limit, shopping with a list, and many of the other tips I give on this blog can definitely be helpful, but they are not the only answer to a shopping problem. These are important practical considerations, but there are also psychological considerations that apply. Many of us who overshop are doing so in order to fulfill some sort of emotional need. Until we find other ways of fulfilling that need (sometimes it’s multiple needs), we will continue to struggle to some degree. 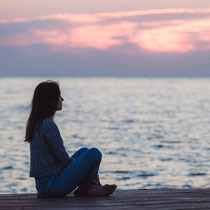 I have written more about the practical than the psychological on this blog, but I’ve done some posts on the latter issues from time to time (check out the “Behavior and Psychology” category). The person who is really the expert on the psychological side of overshopping is Dr. April Benson. I highly recommend her wonderful book, “To Buy or Not to Buy” (listed on my Resources page), as she goes into the emotional needs in great detail and offers help on addressing them. I know I should revisit many of the exercises in Dr. Benson’s book, as I need to work on other and more healthy ways of meeting my emotional needs besides shopping. I plan to write more posts on such topics moving forward. Those issues – and those posts – are harder for me, but I know they are important… I could write more – and I will soon, but for now I suggest you read Dr. Benson’s book. There’s lots of wisdom there! Glad you liked the articles, Bette! I loved Kali’s post, too, and your comment is quite insightful. I have met some women who are single in middle age because they have been looking for “Mr. Perfect” instead of “Mr. Right.” I don’t think we should settle in relationships, but we if we have a checklist for what we want, we may not find someone who matches every criteria. I am very happy with my husband, but he was divorced with a teenaged son and lived far away from me when we met. Those things weren’t ideal, but he was wonderful in almost every respect. I’m glad I didn’t wait for perfect. Now I just need to find the “just right” with my clothes! this is a great round-up of useful links. The one on color theory is especially useful because this kind of information isn’t readily accessible and can make a big difference in how people build — and stretch — their wardrobes. congrats on the book. I loved that article, too, Dottie, and have bookmarked it for future reference. I agree that color is critical in terms of building a workable wardrobe. You highlighted that well in your guest posts, too! I agree, this is an excellent round-up of useful links. This worked extremely well for me. I now have a small workable, fun to wear wardrobe, and I seldom shop these days, and when I do shop and am tempted to buy, answering these questions keeps me from buying unnecessary items. I agree that Bridgette’s questions are very helpful, Terra! If I would have asked those questions about everything in my closet before I bought it, a lot of it would have never been there in the first place. Thanks for the link love! Yours is one of the few blogs that makes me pull out my laptop to read better and/or comment on. There is SO much good information here. You’re welcome, Cristina, and thanks for your kind words! I love your blog, too, and am happy to share your posts. There aren’t too many of us writing about these topics, so we have to stick together! I enjoyed your article in the magazine Debbie. It looks like you’ve had a busy week! Thanks for all of the links. Thanks, Tonya! Yes, it was a busy week, but the magazine article was written awhile back. I was happy to be approached by them and asked to share my story. I hope a lot of people find it helpful. Thanks for the mention, Debbie! There’s some great stuff here I’m keen to read. Hope you’ve had a great weekend! Thank you so much for this list!!! I’ve read each recommendation, a little each day and truly enjoyed it. I’m so glad you enjoyed the articles, Meli! I know it’s a lot, but the way you approached it is what I usually do with such lists. I plan to re-read a few of the articles myself, as it was awhile ago that I read some of them and bookmarked them to share.